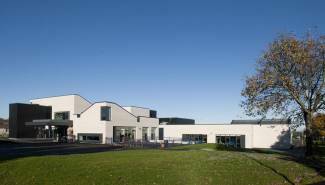 Ogilvie undertook the design and construction of the Raploch Community Campus as part of the Stirling Schools PPP. The Campus is a flagship education project at the centre of the regeneration master plan for the Raploch area of Stirling. Since being granted Urban Regeneration Pathfinder status by the Scottish Executive in 2004, the Campus was the first building to be completed under the £120m regeneration initiative. 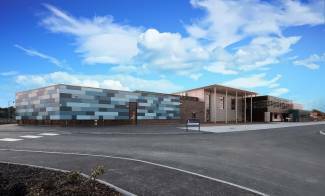 The new Campus includes Our Lady's Primary School (previously St Mary's RC Primary School), Raploch Primary School, Castleview School (previously Kildean and Whins of Milton Schools), a specialist education facility for those with complex additional support needs, Raploch Nursery, Primary Pupil Support and SLANT. The Campus also provides Forth Valley College with teaching accommodation, while the local community benefit from extensive community sports facilities and office space, which is used both by the Council and other community partners. The school provides a capacity for 650 primary pupils, 55 (FTE) nursery children and 40 ASN pupils. 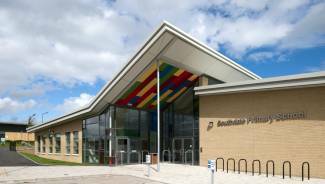 The project has also provided an excellent opportunity for co-operative working both between educational establishments and with community partners and provides enhanced, service delivery for the local Raploch community. It provides a range of leisure, further education and other opportunities in a building that the members of the local community can truly feel is their own. Catering, including the school meals service and a bistro open to the public, is provided in an innovative way through a partnership arrangement with Forth Valley College where the kitchen provides a training venue for the college. There are also hair and beauty training facilities provided by the college within the Campus.